A lot of politics made it this week among the most engaging Facebook posts. And contrary to the German Top Posts, only Fernando Alonso’s post on formula 1 got many reactions to be in the top 10. But ahead of them all is a heart warming story of a police officer. True or not true, it worked. 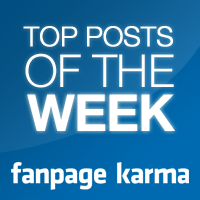 Enjoy the top post of the week!